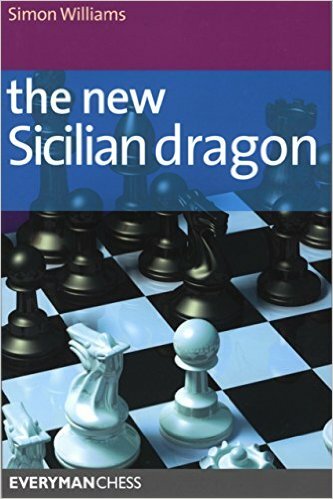 Along with GM Simon William's Dutch Defence, I have also picked up his Sicilian Dragodorf opening after watching a series of videos by him in chess.com. Before this I was using the Accelerated Dragon variation by GM Roman Dzinzhichashvilli from the book Chess Openings for Black, Explained. In fact almost all my opening repertoire are from this book and its companion book Chess Openings for White, Explained. 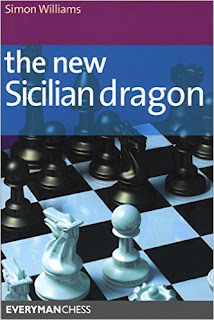 The New Sicilian Dragon was published by Simon at 2009 from Everyman Chess and hence is a bit outdated compared to the fascinating developments made by him in recent years that you can learn from his Killer Dragon DVD pairs. Although I have went through the DVDs twice, I have started reading the book to better internalize the rational and the development of the Dragodorf from its root (relatively speaking). Also I have found Simon explains chess very well, if not as good as Roman, mixing humor all along the way. So its fun reading him or watching his videos. I have also picked his Hillybilly attack against Caro-Kann, King's Gambit with 3. Nc3 variation, Sicilian Grand Prix attack to name a few. His playing style is attacking and hence his openings often have a touch of a pawn sacrifice to gain tempo in development and attack. This I assume will help me master open games. Simon explained different variations and the theories with the help of 62 full games. Here are those games. 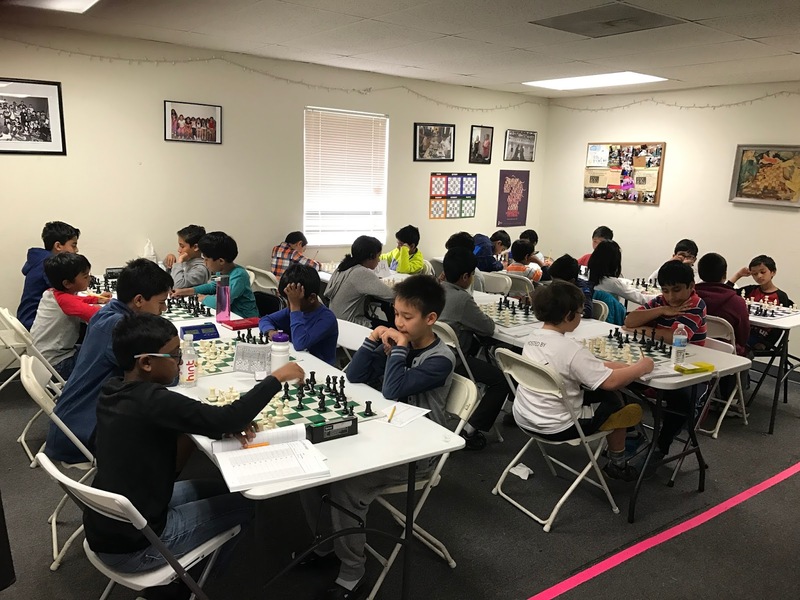 The S.H.A.F Inc., in collaboration with NorCal House of Chess held another successful kids chess quad tournament in NHC premise at Fremont on Saturday, March 26 featuring 36 participants. It is the fourth S.H.A.F chess event and the biggest turnout thus far. Several first-place trophies and medals were handed out as kids battled out in long, tough matches for the first place spot in their respective quads. 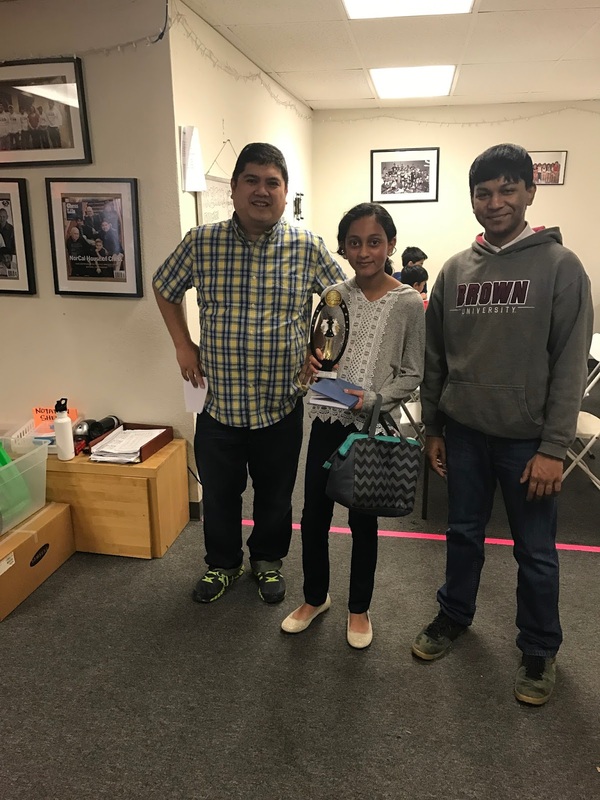 The main goal of this fundraising event was to gather resources and donations for the victims of the recent San Jose flooding and underprivileged children in Bangladesh. Gratefully, they received donations of canned foods, warm clothes, and some toys which will be donated to the San Jose flood victims. Overall, it was a wonderful showing of skill and determination of the players, all for a great cause. 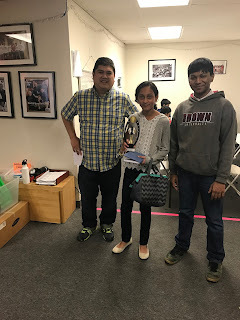 A few weeks back Coach Ted Castro of NorCal House of Chess hosted a meet a grit with GM Susan Polgar who was visiting bay area on her chess promotion trip. A few of us followed that with dinner where I got introduced to Fide Master Alfredo. 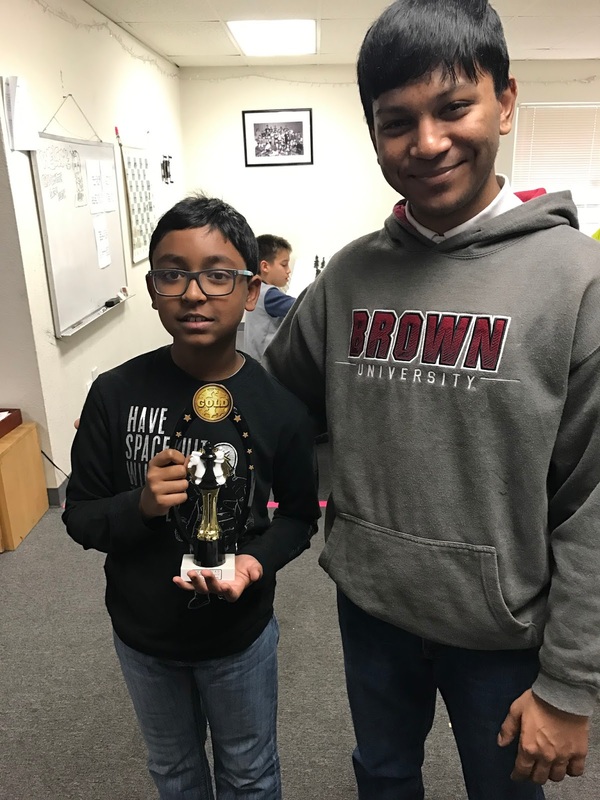 At one point he mentioned about a nice game of his which I was interested to see as I have played with his young opponent in the past - Ladia Jirasek. He sent me the game along with his own detail comments and analysis. I enjoyed this firing game full of attacks and counter attacks and I hope you will enjoy the same. I am giving the rest of the commentry of the game in Alfredo's own notes below. I recently bought the training program 21 Days To Supercharge Your Chess by Yury Markushin. In Day 3, I learnt how to analyze a position. I knew each of those separately but its nice to get it in a bullet point together. 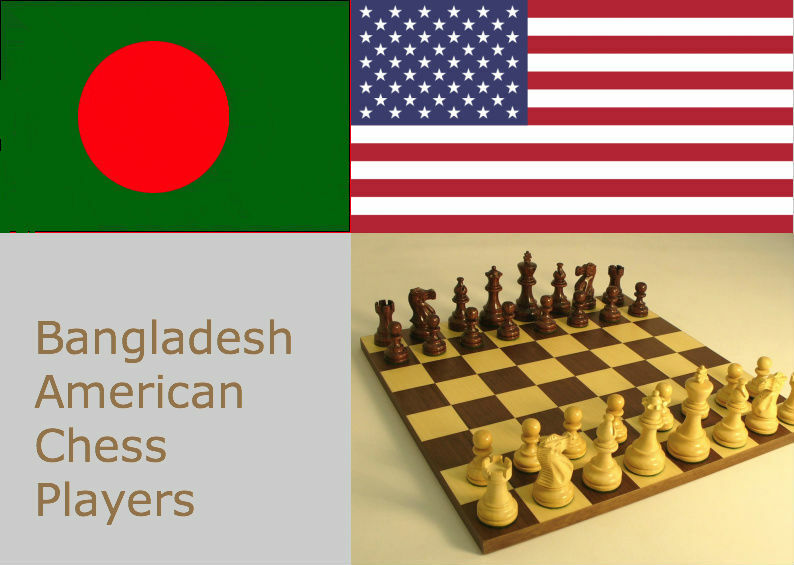 In Day 9, I learnt how to analyze a chess game. Was it a home preparation line or you had to diverge from it? What other variations of that opening line you have previously played? Did the opening lead to the type of position you want to achieve? Did you obtain any positional/material advantage out of that opening? Overall, whose position was better after the opening? What are the tactical and positional possibilities in the position? Day 13 teaches to always evaluate the most forcing continuations first in complex situations when a lot of calculations need to be done.The order should be checks, then captures and then threats and this will help reducing the number of variations to caculate.